The Navy commissions the USS Michael Monsoor (DDG 1001), the second ship in the Zumwalt class. DDG 1001 is named for MA2 Michael Monsoor who was posthumously awarded the Medal of Honor for actions during Operation Iraqi Freedom. 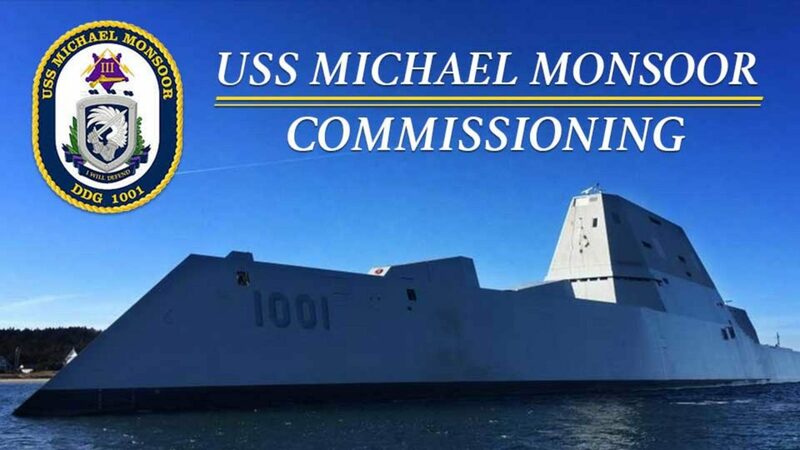 The ship will be brought to life by Michael Monsoor's mother, Sally.